The long weekend is over, boooohhh! BUT it is only a 4 day week, yaaaaayyyy all is not lost! Today’s review is all about baking and in particular the Baking Fresh Subscription Box*. Baking Fresh contacted me asking whether I wanted to try one of their baking subscription boxes. Of course I jumped at the chance, any reason to do a spot of baking. You may remember that I reviewed the first and second months of the new Bakedin subscription boxes, review here and here, so I am very intrigued to see how Baking Fresh compares. How does it work? Baking Fresh select a recipe each month, prepare and pack all the dry ingredients you will need, email you the fresh ingredients you will require for the recipe and all you have to do is wait for it to pop through your letterbox. From there follow the step by step recipe guide and revel in the easy baking. Simple. What is great about this box is that it actually fits through the majority of all letterboxes. This is a big win factor simply because there is nothing worse than a) missing a delivery or b) coming home to find it left outside in the pouring rain. The boxing is very simple. My only recommendation is that the securing of the box could be looked at. Unfortunately mine arrived in ominous Royal Mail Plastic wrapping with a note saying it had reached them in an open condition. This month’s recipe was Hazelnut and Coffee Meringue Roulade. 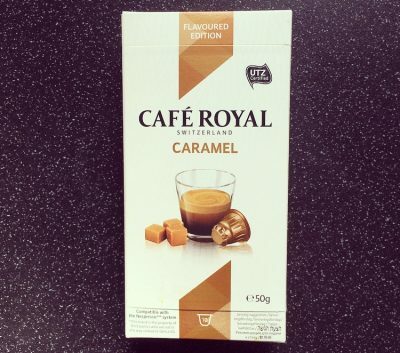 Despite my dislike of coffee first impressions were good. I like that they have gone for something that isn’t an everyday or go to bake. Inside the box everything was labeled and corresponded to various steps on the recipe card. The recipe card took a few reads, I much prefer having the ingredients at the beginning of the recipe rather than at the end here, it just seems to flow better that way. The only aspect that I questioned was the oven temperature which didn’t state whether it was fan or not. Other than that simple pimple. 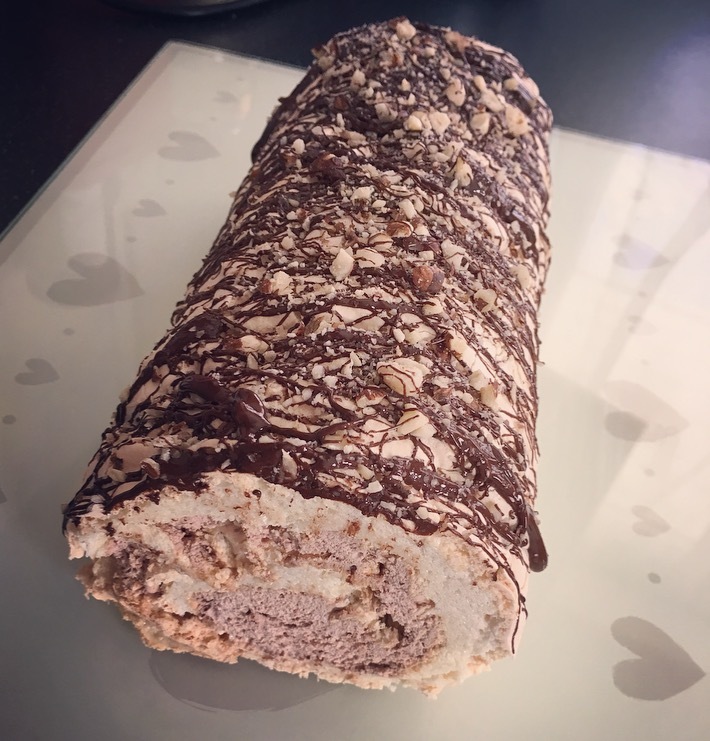 Ta Da – one Hazelnut and Chocolate Meringue Roulade. I have to say I am mighty impressed with how it turned out. I was a little apprehensive as I have had a few disasters when rolling up roulade and swiss rolls, but luck was on my side today! There is even a hint of swirl! Celebrate the small achievements there guys and gals! Taste wise the meringue was crispy on the outer and deliciously mallowy and chewy in the middle. I omitted the coffee element so the inners was a chocolate cream with chopped hazelnuts which cut nicely against the sweet meringue, and the hazelnuts gave that needed texture. The chocolatey topping gave that extra hit of chocolate not to mention chocolate going everywhere from all that flicking…. oops. Overall a delicious bake and one that would not be an obvious choice. 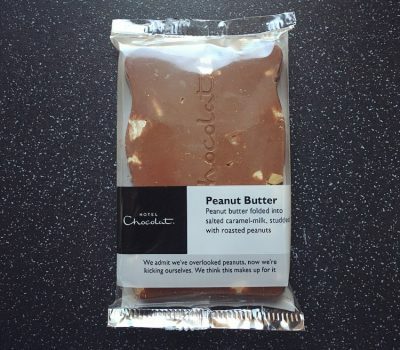 At £9.99 it is now slightly more expensive than Bakedin Baking Club Box. 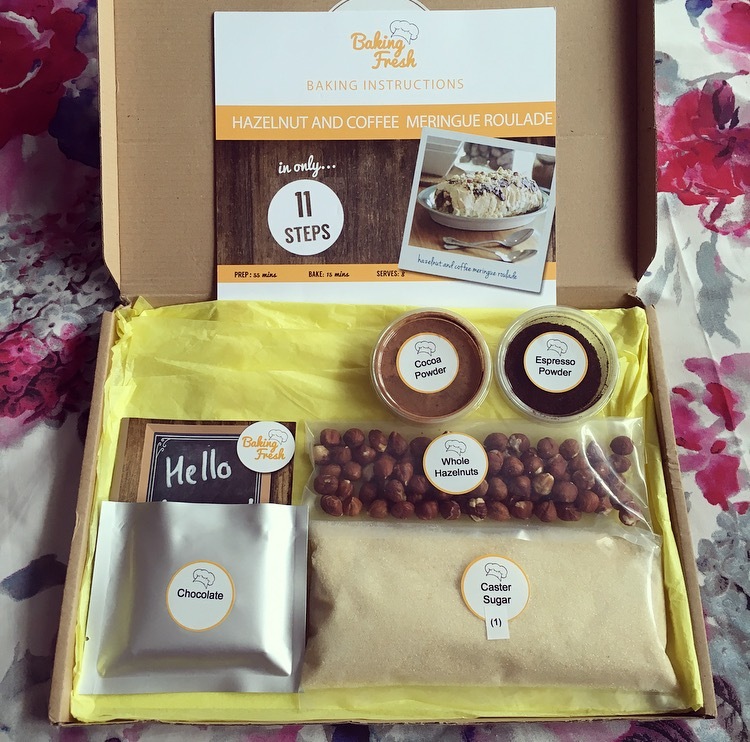 It shares a number of similarities with the Bakedin Baking Club Box, however the Baking Fresh Subscription Box definitely has one bigger advantage and that is it fits through your letterbox. Yes there could be a few tweaks here and there but that’s like everything. That bake was a lot easier than expected, tasted delicious and overall a winner. A big thank you to Baking Fresh for sending me their subscription box to try. For all things Baking Fresh including more about their subscription boxes and subscription plans, visit their website here, they even do a box for little bakers.